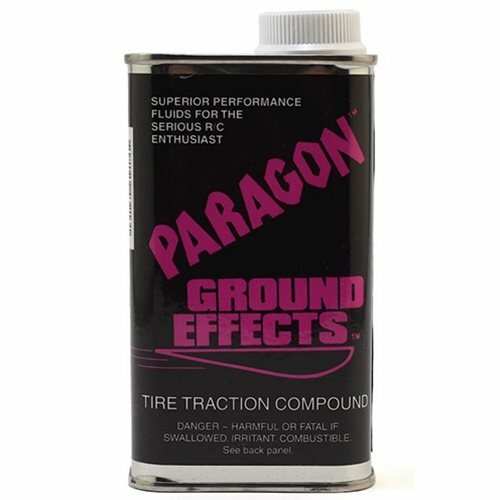 Paragon "Ground Effects" is used for foam tires on carpet and asphalt tracks. 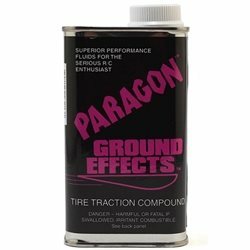 Specifically formulated to give the racer ultimate tire traction. Ground effects will in sure unsurpassed acceleration and control through every curve and corner. A little slippery at first but offers some of the most consistent grip in carpet of any traction compound. Comes with a dauber, and the tire traction compound in a 8oz can.